Downtown Presbyterian Church, 154 5th Ave. N.
Celebrate Nashville’s landmarks through the music and art they inspire at Nashville: Covered, a special one-night-only exhibit of classic and contemporary album covers. From Bob Dylan’s classic 1969 album Nashville Skyline to Jason Isbell’s upcoming album Live from the Ryman, Nashville has inspired artists for several generations. The Nashville: Covered exhibit connects our community’s historic places with Nashville’s rich music history through a variety of genres, musicians and time. The albums on display will be for sale during the event, with all proceeds benefiting the continuing restoration of the Downtown Presbyterian Church and HNI’s preservation and advocacy programs. 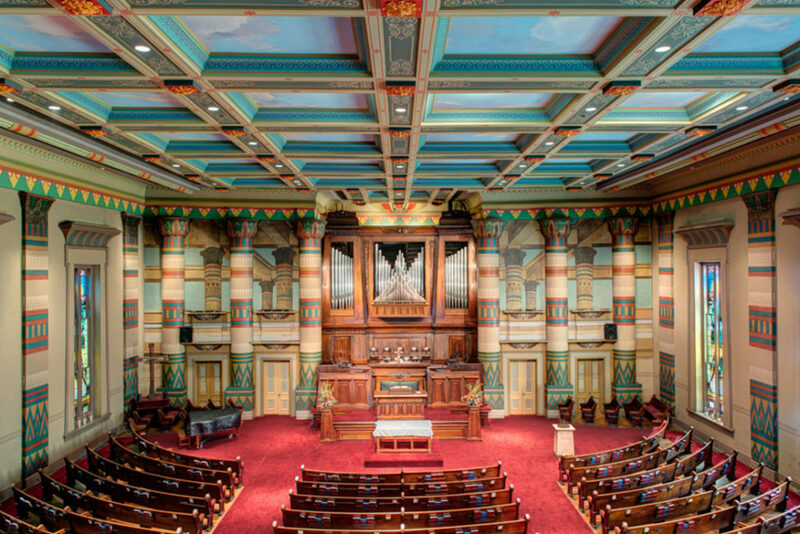 Free tours of the church will be offered throughout the evening by Jim Hoobler, Senior Curator of Art & Architecture at the Tennessee State Museum and Staff Historian with the Downtown Presbyterian Church, to highlight the church’s unique Egyptian Revival architecture. HNI is partnering with the historic Downtown Presbyterian Church and longtime Nashville record store The Great Escape to present this unique event.